Nokia, in their continuing withdrawal from the mobile phone and software industry, appears close to selling off their best remaining asset in that market: HERE Maps. According to a report by Bloomberg, Nokia will sell their mapping technology and know-how to Germany's three biggest automakers, BMW, Audi (owned by Volkswagen), and Mercedes-Benz. Though they typically compete against one another, each shares common concerns about Google's market position and privacy policies. The report estimates the asking price of HERE to be nearing $4 billion USD, though the final offer may be closer to $2.5 billion. While that sounds like a big number, HERE is a product of Nokia's acquisition of NAVTEQ for $8.1 billion in 2008. 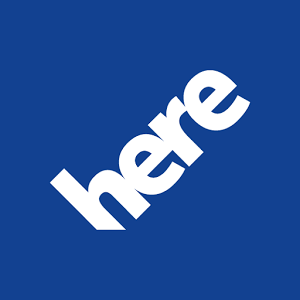 Uber has previously been linked to the sale of HERE, but unless something unexpected comes up, it appears their bid came up short. Industry analysts see mapping technology as one of the key components to the future of self-driving cars, with the short-term payoff being better in-dash features for conventional autos. Nokia already provides the navigation back-end for a large portion of North American and European cars. What will be left of Nokia? They will remain a dominant force in telecommunication infrastructure, building and designing the physical equipment used to provide cellular signals. Nokia also has a load of patents that they license to others. If all goes as expected, the remaining details will be hammered out next week with an announcement in the final days of July.